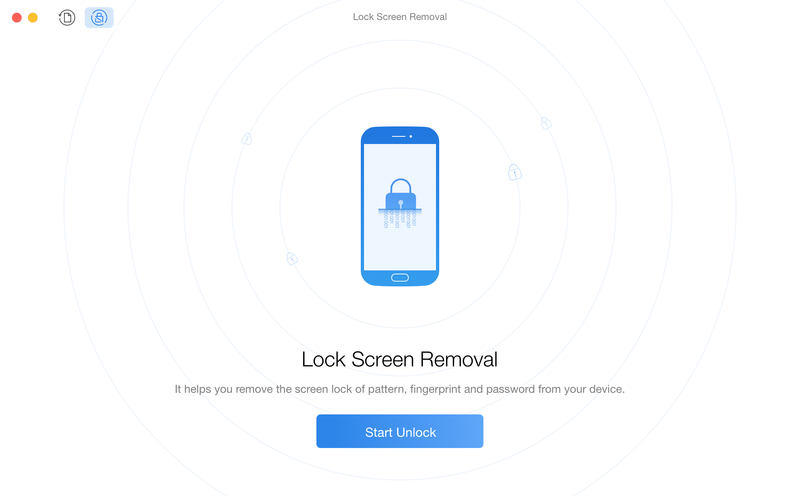 Lock Screen Removal feature makes you remove screen pattern, fingerprint or password on your Android device with only a few clicks. Please refer to the detailed user guide to make good use of PhoneRescue for Android. 1. When you connect Android device to Windows computer at the first time, your computer will install USB Driver for your device automatically. 2. 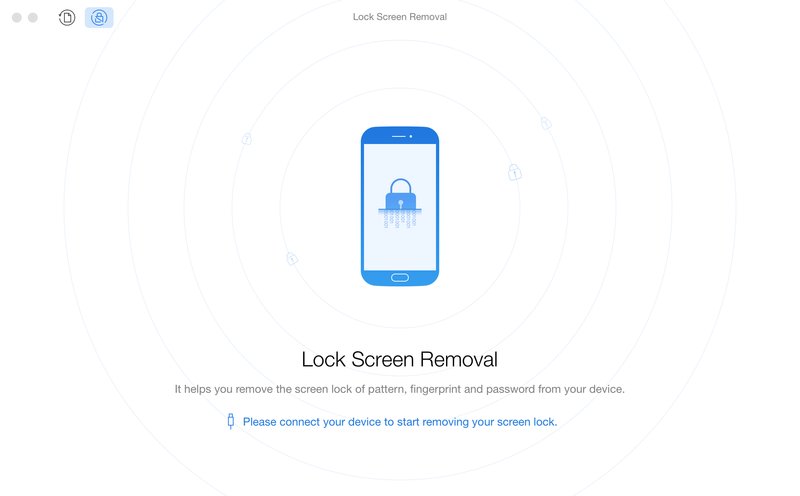 Please make sure that you once rooted Android device before using Lock Screen Removal. 3. If PhoneRescue for Android fails to install APK on your device, please refer to the detailed instructions in this post. Once your Android device is detected, the interface below will display. 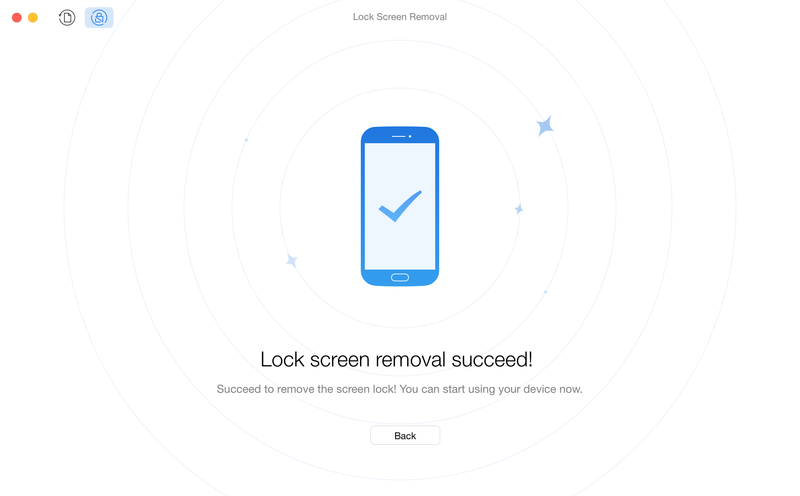 If PhoneRescue for Android fails to recognize your device, you may try these troubleshooting steps to solve this problem. After clicking Start Unlock button, PhoneRescue for Android will analyze your device database thoroughly. Please keep patient. 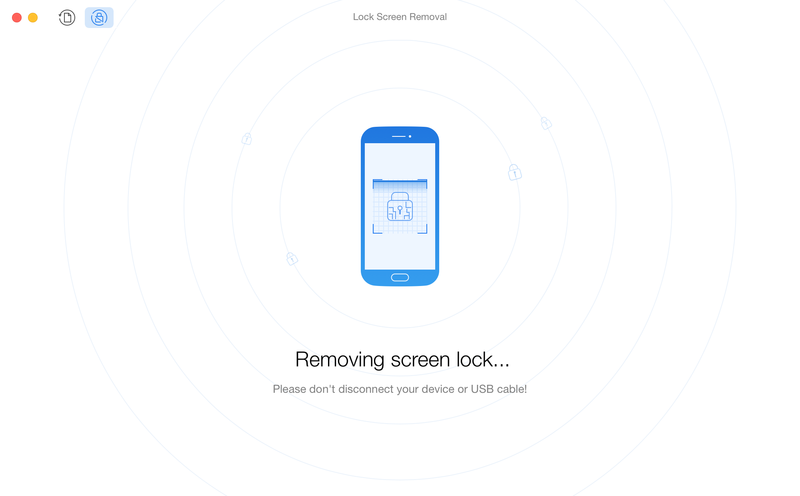 PhoneRescue for Android will remove the screen lock immediately after the analyzing process is completed. When the screen lock is removed successfully, the interface below will display. Meanwhile, your device will restart automatically.